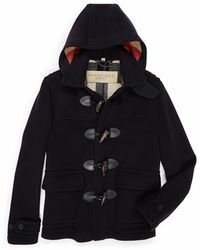 Perfect for off-duty dressing, Burberry Brit offers a youthful and relaxed approach to the label's heritage aesthetic. 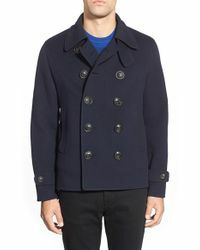 As one of the label's many popular diffusion lines, the collection is renowned for luxe knitwear and preppy styles. 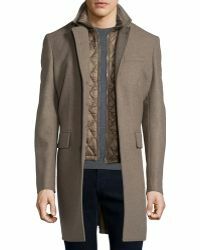 The luxury Burberry fashion house has championed a timeless, sophisticated allure since its inception by Thomas Burberry in 1856. 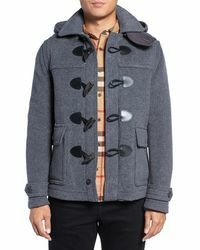 Recognized all-over the world for its signature tartan print and iconic equestrian logo, the label is now headed by the innovative Christopher Bailey. 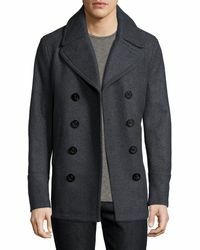 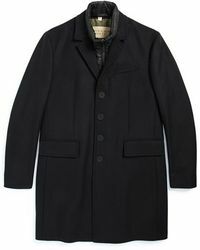 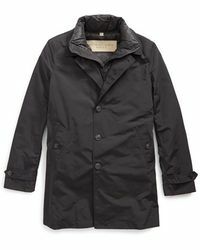 Men's Burberry Brit coats are as stylish as they functional. 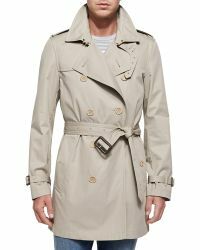 Classic trench coats, duffel coats, rain macs and parkas fit seamlessly into hardwearing wardrobes while staying true to an innate dapper edge.